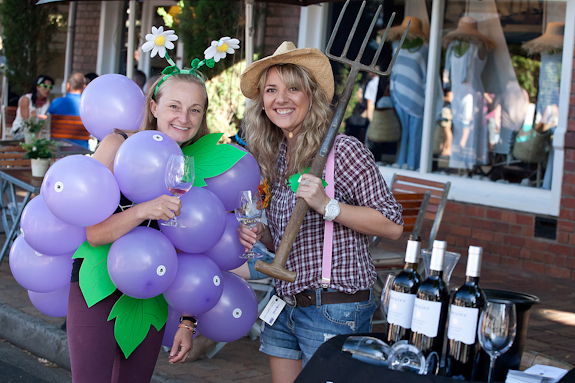 Have you heard about the Stellenbosch soirees? Posted on Wed February 4, 2015. As you may have read on our blog, Stellenbosch really comes into its own when the sun is shining. While winters offer red wines, cosy fires and hearty gourmet dishes, the summer is when Stellenbosch becomes a festive affair –drawing people to its numerous wine events and markets. Combining community, wine tasting, tasty and creative food and live music, the Stellenbosch soiree is the ideal bi-weekly event to enjoy the best of this town’s offerings. Shaded by the many oak trees, you can expect to enjoy the music and dancing of Amazink! at the next few soirees while you also get the chance to chat with locals, visitors and merchants alike. Don’t forget to grab a bite to eat in amidst the milieu. Snack on melt-in-your-mouth pizza from Pizza Piaggio, mini mezze platters or treat yourself to scrumptious strawberries and ice cream. Running until the end of March, keep your Wednesday evenings open for some food and wine fun. Like us on Facebook for more Stellenbosch news. Find our accommodation here.